Note: To see updates about the development proposal for 1327 to 1339 Queen East, see the East Toronto Community Coalition. Lots to do within a short walk. Greenwood Pool is open. Swimming at Ashbridge’s Bay Park / Woodbine Beach is apparently “okay” most of the time. Sat. July 5 – Sun. July 6 Afrofest at Woodbine Park. Meet at south west corner of East Lynn Ave. and Danforth Ave. The string of ravines that link almost-forgotten Small’s Creek are hidden treasures of Ward 32. Join the Friends of Small’s Creek Ravines with John Wilson when they show off the improvements being implemented to preserve these unusual islands of biodiversity in east Toronto. Special guest Ruthanne Henry, landscape ecologist, park planner and ravine champion, will help identify rare and special trees and shrubs in the environmentally significant Williamson ravines. Along the route there are some stairs and uneven ground, so please wear good footwear and expect a two-hour adventure ending near Coxwell and Gerrard. Sunday, July 27 8 p.m.
Jonathan Ashbridge Park, Queen East at Woodward Ave.
Come at 8pm to get set up with your chairs and blankets to watch a movie under the stars. -for some of the above, thanks to Councillor Mary Margaret McMahon’s Ward 32 newsletter. On June 23rd, Councillor McMahon and Andy Byford, Chair of TTC, went on a walkabout around the neighbourhood surrounding the Russell Carhouse to address the residents’ concerns. This entry was posted in Applegrove Community Complex, Ashbridge Estate, Ashbridge's Bay, Beach / Beaches, Event, Gerrard-Ashdale Library, J. Ashbridge Park, Queen Street, S.H. Armstrong Community Recreation Centre on June 27, 2014 by The Ashbridge's neighbourhood. Did you know Applegrove works really hard to keep our camp afforadable and fun! $90/per week is a great deal AND your child will have so much fun! Every week there is swimming, big trip days, mini-trips, cooking, crafts, sports, drama, special event day, games and friends. AND the peace of mind knowing your child is having fun and being supervised by experienced and trained staff. Call today 416-461-8143; space is available in most weeks for 6-12 year olds and some spaces for 12-15 year old Leadership camp. Also see summer camps at S.H. 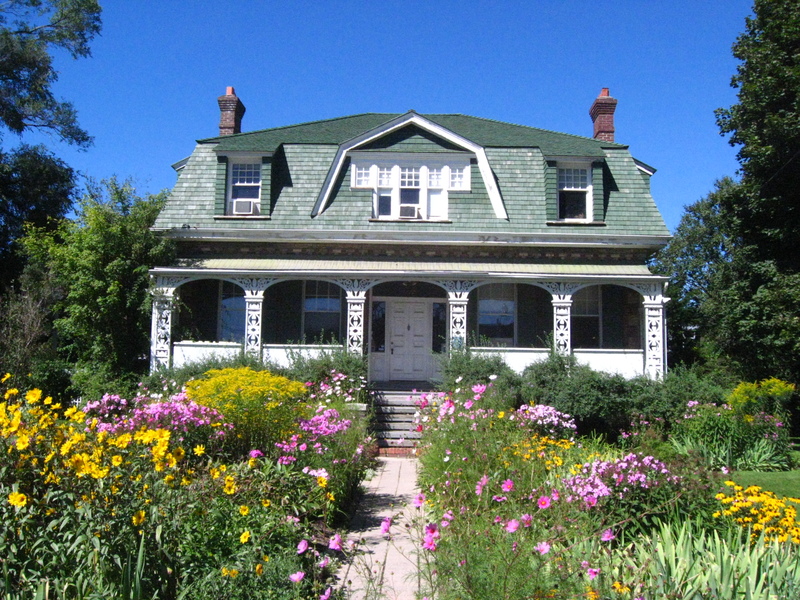 Armstrong, 56 Woodfield Road. There are camps for children up to age 5, and for kids aged 6 to 12. This entry was posted in Applegrove Community Complex, Duke of Connaught Public School, S.H. Armstrong Community Recreation Centre on June 25, 2014 by The Ashbridge's neighbourhood. See the event page on Facebook and “join”. Tell your neighbours. Public meeting about development proposal for 1327-1339 Queen East (demolishing century buildings, paving over green space along Queen). This audacious proposal could have serious long-term impacts on Queen Street in our neighbourhood. Also join the Facebook group East Toronto Community Coalition. This entry was posted in Queen Street, S.H. Armstrong Community Recreation Centre on June 24, 2014 by The Ashbridge's neighbourhood. A developer wants to demolish these buildings and remove this green space – 1327 to 1339 Queen East. A developer plans to demolish these buildings. City of Toronto Planning is holding its Community Consultation on Tuesday, June 24, 2014 from 6:30 – 8:30 p.m. at S. H. Armstrong Community Recreation Centre, 56 Woodfield Road. The purpose of the meeting is to provide residents with an opportunity to ask questions and provide feedback to the City on the application made by Rockport Group to develop 1327 – 1339 Queen Street East. This is our opportunity to tell the City of Toronto Planning what our concerns are with this development. Please plan to attend. Please tell your neighbours. This entry was posted in Event, Queen Street, S.H. Armstrong Community Recreation Centre on June 19, 2014 by The Ashbridge's neighbourhood. East Toronto Community Legal Services – serving the community since 1978. Entertainment – Kids’ Activities – Food – All Free! This entry was posted in Ashdale Village / Little India, Gerrard Street East, Event on June 18, 2014 by The Ashbridge's neighbourhood. Peter Tabuns keeps his seat, Michael Prue loses his. 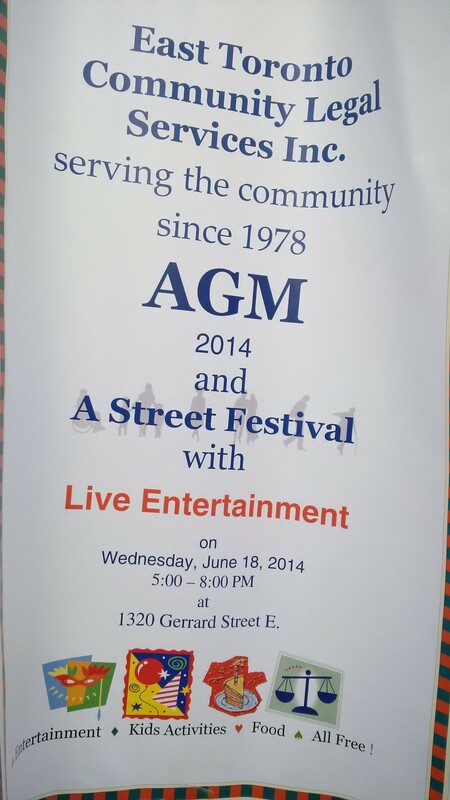 This entry was posted in Beach / Beaches, Event on June 13, 2014 by The Ashbridge's neighbourhood. The Duke’s Got Talent! Variety Show featuring the best and brightest artistic talent at Duke of Connaught takes place on June 11 at 6:30PM in the auditorium of Riverdale Collegiate Institute (1094 Gerrard Street E.)! We will have a range of student performers from dance to music to martial arts to magic! There will also be a special performance from Duke staff to demonstrate that it’s not only our students who are talented! All proceeds from Duke’s Got Talent! will go toward the staging of a new Duke musical production next June 2015! There will also be pizza and drinks available for sale starting at 5:45PM in the Riverdale lobby and please note that no food or drink is permitted in the auditorium. This entry was posted in Duke of Connaught Public School, Event on June 5, 2014 by The Ashbridge's neighbourhood.